It's a hidden wrinkle in your beauty routine, according to some customers. Team 10 uncovered several women who say skin care companies took their money all with the simple click of a button. "It was very upsetting," said Chula Vista resident Linda Austin. Austin saw the ad for the skin care product online. "The ad said you can get rid of your wrinkles in about a month," Austin said. Austin decided to try it for only a $4.95 shipping and handling fee. "Sounded pretty good for $4.95," Austin said. She received the product from Lavish Skin Care, a company with a San Diego address. However, Austin got more than she bargained for a few weeks later when she tried to use her debit card. "The person said it's been declined and I'm going, 'What do you mean it's been declined?'" Austin said. It turned out the free skin care product wasn't free at all. A nearly $90 charge appeared on her bank statement. Austin hadn't noticed the small print, which automatically signed her up for more products and more charges. "I was mad because that's a lot of money to lose in one checking account," Austin said. She called the practice "deceiving." It is a tactic the Better Business Bureau told Team 10 comes up a lot. 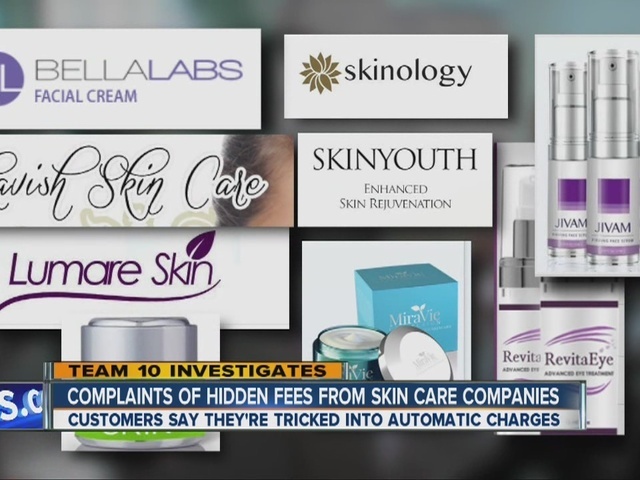 The BBB shared a list of at least nine different Southern California skin care companies with multiple complaints against them about this type of hidden charge. "Unfortunately, you are signing up for that big recurring investment," said Sheryl Reichert, president/CEO of the local Better Business Bureau. "Five dollars doesn't seem like that much money, but what you're doing is you're turning over your credit card information or bank information." She said it is not illegal, but the companies are "not clear and conspicuous." "People are getting caught up by misleading companies," Reichert said. The San Diego address for Lavish Skin Care led Team 10 to a UPS store. Team 10 received an automatic reply email from Vibrant Skin, saying the request for a comment was being "reviewed by our support staff." "I am on a fixed income here and I work hard for my money," Austin said. "I don't like it when somebody takes it without my knowledge." After several phone calls to Lavish Skin Care and a complaint made to the BBB, Austin received a refund, although she said it was a big hassle. The BBB suggests checking out companies, especially online companies, with a third party to avoid a crack in your finances. 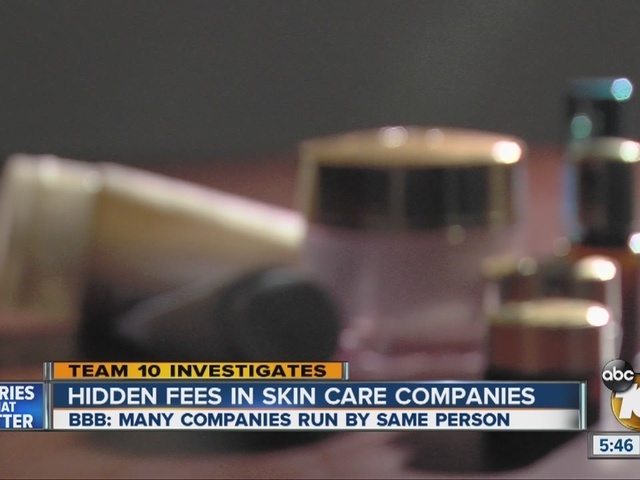 Since 2015, the local BBB has processed nearly 1,200 complaints against skin care companies. There are 43 "R" rated skin care companies in San Diego, Orange, and Imperial counties.